Dr. David Little is an associate professor and director/recruiter for the early childhood/elementary fifth-year alternative graduate program at Samford. Dr. Little also devotes part of his teaching assignments as a professor in the instructional leadership program and as a professor of reading for secondary and p-12 undergraduate students. He teaches courses in foundational and diagnostic reading, phonics, classroom management, reading in the content areas, assessment, social studies methods and instructional leadership. 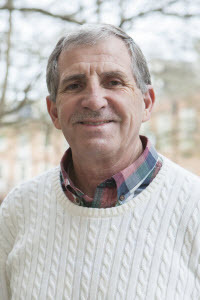 Dr. Little has written several articles on schema theory, early literacy skills, cooperative learning and has most recently developed an extensive set of famous Alabamians lesson plans to be used by fourth grade teachers.He has authored several books including Teaching Reading in the Content Areas. Dr. Little has presented at numerous international, national and state conferences.Presentation papers have included schema theory strategies, cooperative learning, phonemic awareness, Reading Recovery research presentations and the integration of problem-based learning in elementary schools. Dr. Little has performed numerous community service activities during his long tenure at Samford University including the Chairperson of the Davis Library building additions and renovations, serving as one of the founding “brother and sisters” of the highly acclaimed Alabama Reading Initiative (assisting in the development of the phonemic awareness and phonics modules), chairing numerous university and school of education committees and serving as a faculty senator and faculty Marshall.He has been a board member and conference planner for the Social Studies Council of Alabama. His greatest achievements have been serving as the director of the Samford Summer Institute of Teaching Excellence for over 20 years and co-chairing (3 times) the Alabama State Department of Education Accreditation study for the school of education teacher certification programs.